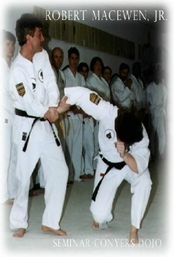 Sensei Stabile is pleased to present a two day seminar with Sensei Robert MacEwen and Michael DePasquale, Jr.
Sensei MacEwen doing what Sensei MacEwen does! Sensei Robert MacEwen currently holds the highest possible rank in Nihon Goshin Aikido ~~~ Yon-Dan (Fifth-Degree Black Belt) ~ and has been teaching Nihon Goshin Aikido out of his Middletown, NY dojo for many years. He of all dan graded practitioners in our art, Sensei MacEwen has spent more time under the direct training of Shihan Richard A. Bowe. 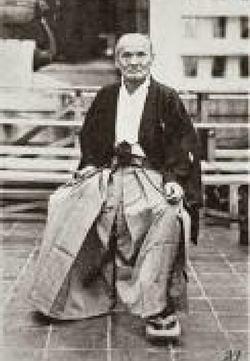 After Mr. Bowe, he is the highest ranking Nihon Goshin Aikido Association Affiliated instructor.